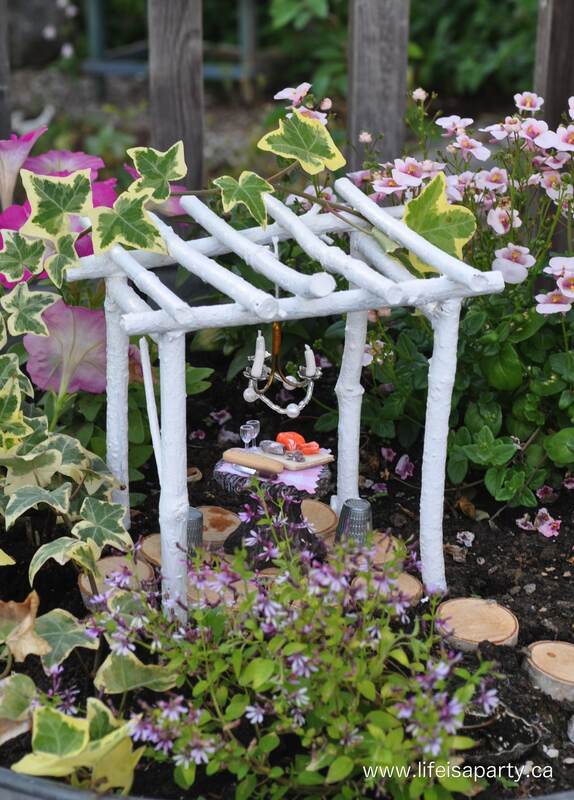 What does every Fairy Garden need? 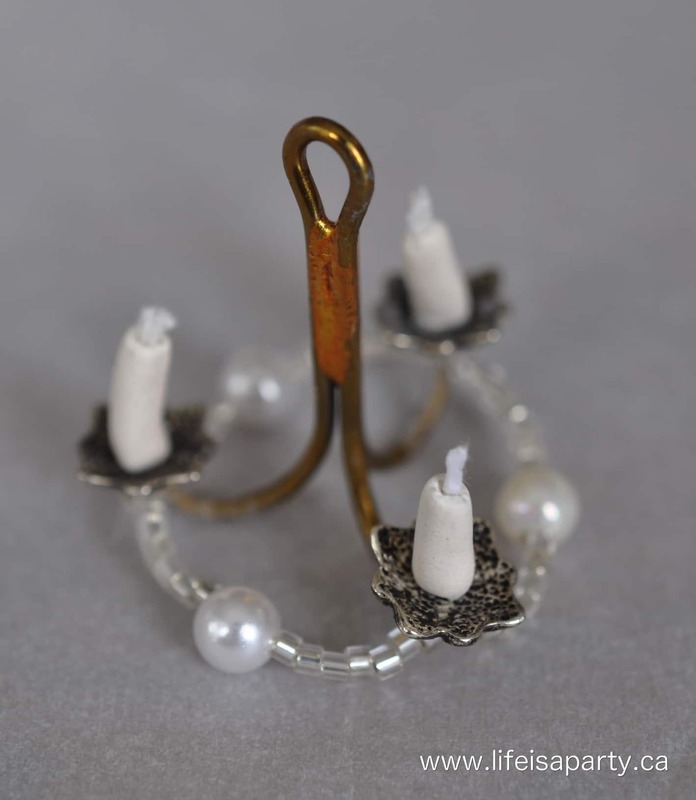 A Miniature Chandelier. 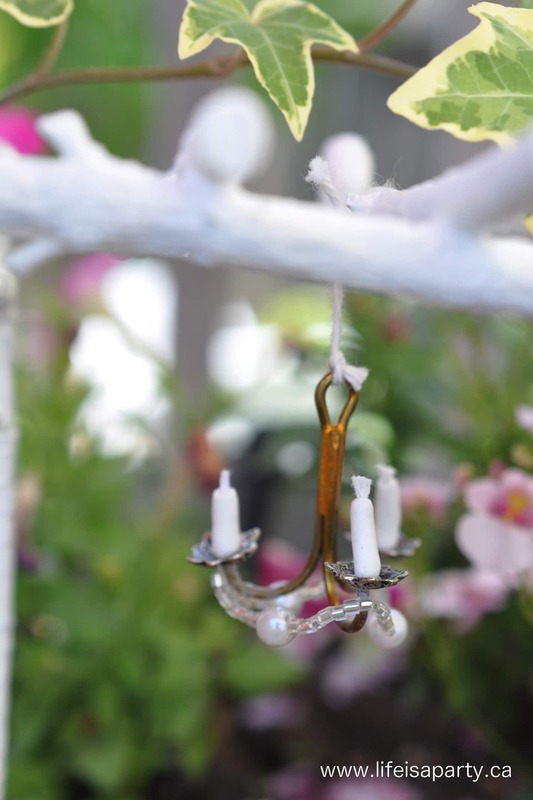 And what does a fairy make a chandelier out of…a Fish Hook. 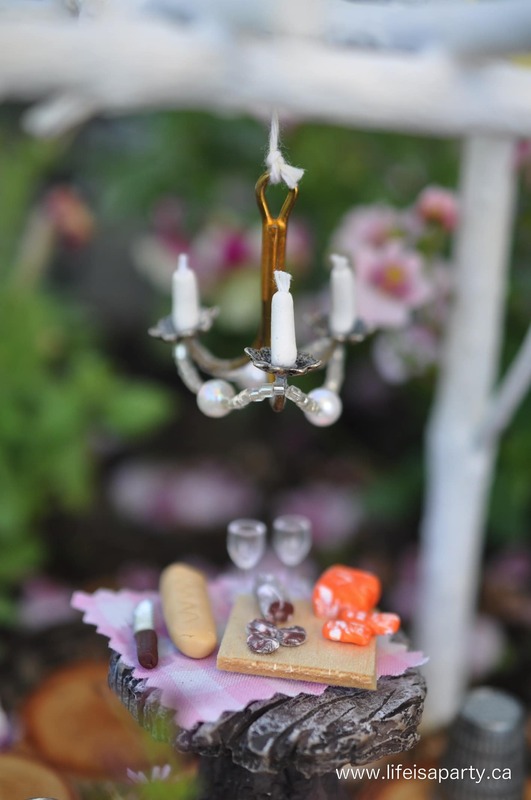 The other day I shared our sweet little Miniature Fairy Pergola, and today as promised, is the tutorial to make your very own Fairy Garden Fish Hook Miniature Chandelier. 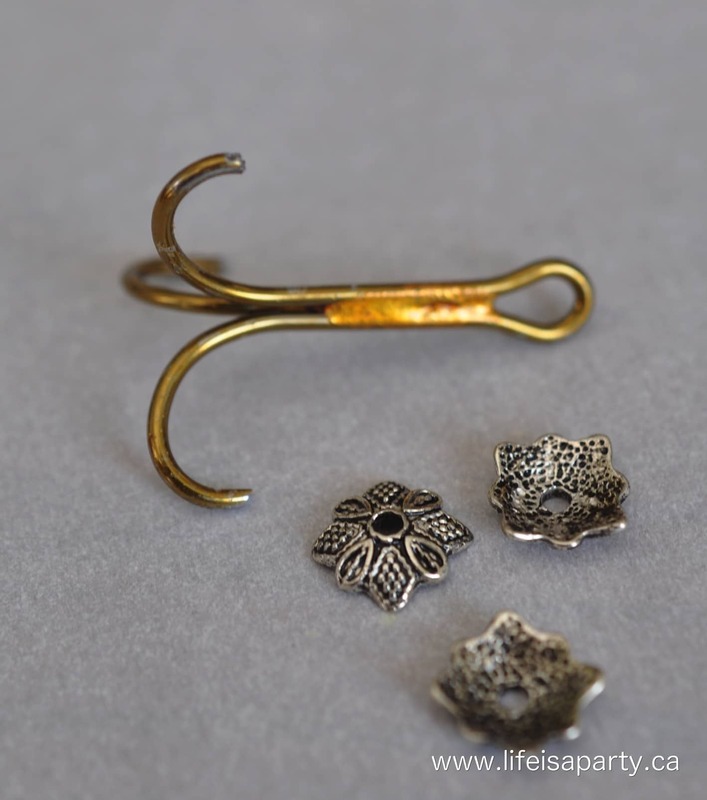 Begin with the fish hook, this is the hardest part of the project. 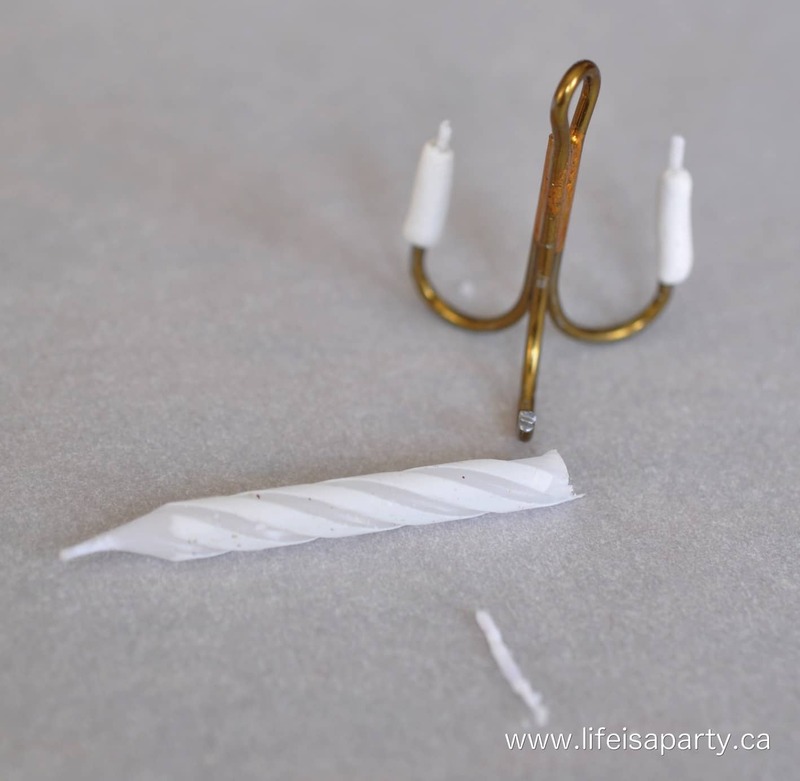 Use pliers to hold the hook, and a small hack saw to cut the barbs off of the hook. My husband helped me out with this. 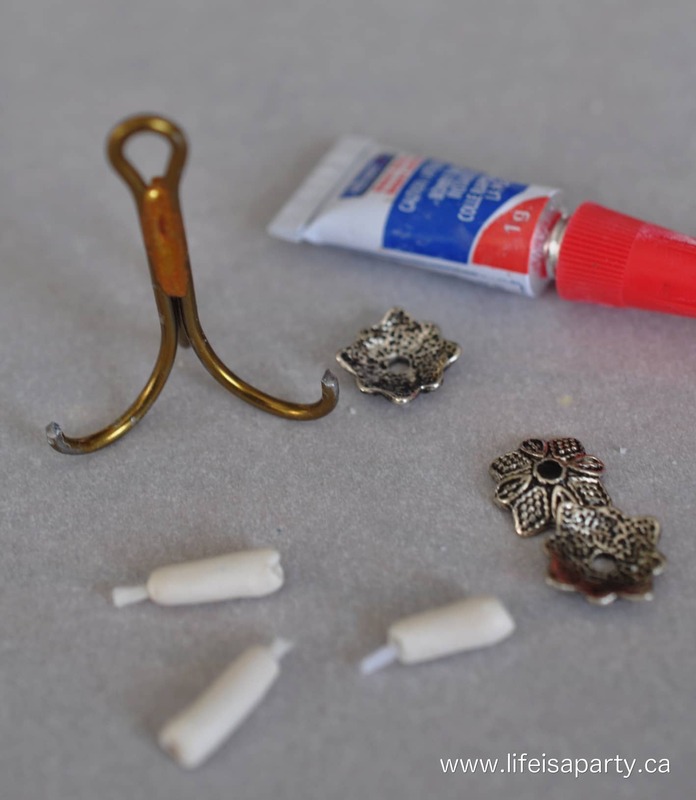 If you weren’t able to get the barbs off, I think you could make a small ball/bead with polymer clay, and bake it around the barb to cover it up and prevent it from poking anyone. 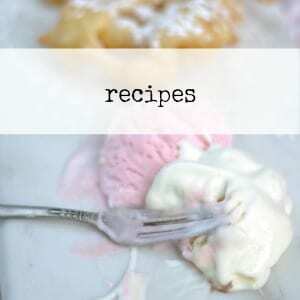 Next make the candles. I used a real birthday candle and used the wick from it. Then, I formed a candle shape from polymer clay. I made sure to place it on the top of the hook to make a small indentation which made it easier to glue afterward. Once the polymer clay is formed into the candles, bake it according to the package directions to make it hard. Once the clay is baked it’s time to glue it together. 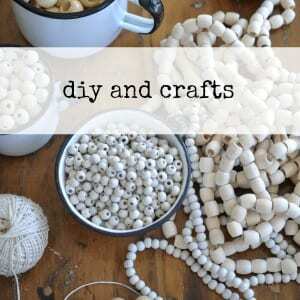 Make sure to put the end bead first, then glue on the candle, and glue the end bead underneath it. Super glue is a little tricky, so be careful of your fingers! 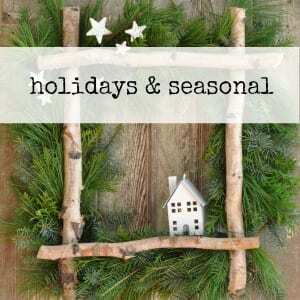 The last step is to add the hanging beads. I used small glass beads, and fine plastic thread. Tie the thread right under the end bead, and use enough beads to make a nice swag. 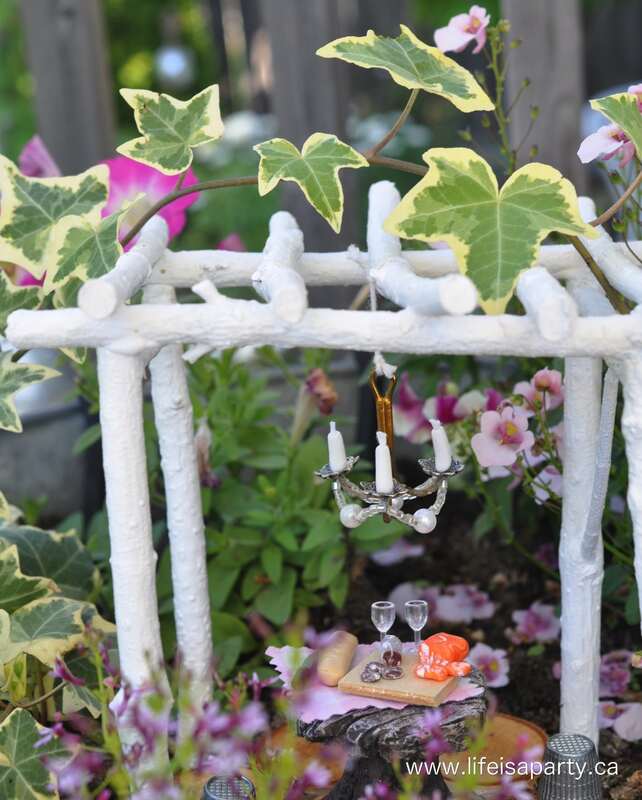 I tied the chandelier onto our little Miniature Fairy Garden Pergola and set up the sweetest little Fairy Picnic underneath -there’s a tutorial coming soon. 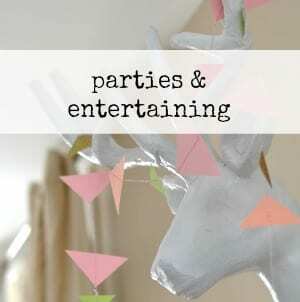 With a sweet Fairy Garden Fish Hook Miniature Chandelier, life really is a party! 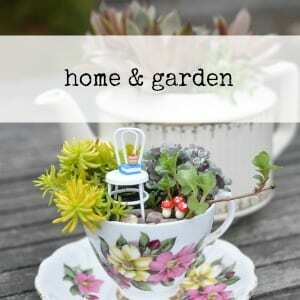 I have not made a fairy garden as yet but in the near future i will. Your gardens are delightful, I love them. Sally thanks so much, and best of luck with your fairy gardens!